Velesto Energy Berhad (formerly known as UMW Oil & Gas Corporation Berhad) is established since 2002 and participates in the robust upstream activities of the oil and gas industry through two main activities which is Drilling Services (Offshore Drlling and Hydraulic Workover Services) & Oilfield Services (Threading, Repair and Inspection Services) . We develop industries, manage partnerships and joint ventures and facilitate growth in the oil & gas industry in Malaysia and the Asia Pacific Region. 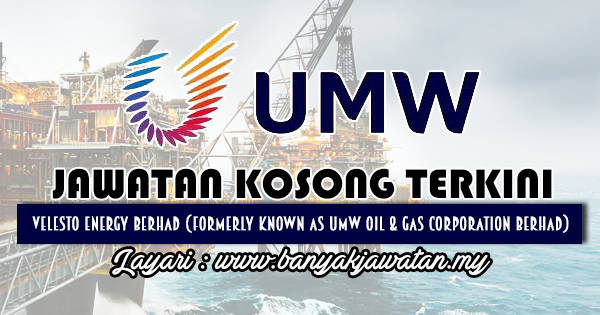 0 Response to "Jawatan Kosong di Velesto Energy Berhad - 23 Februari 2019"